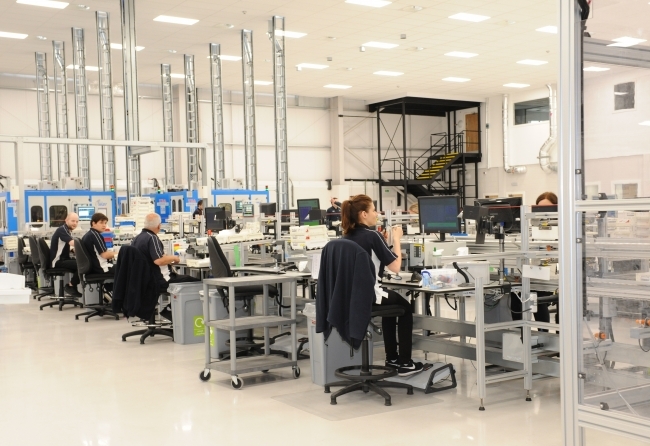 Specsavers founder Dame Mary Perkins has officially opened Specsavers’ new manufacturing and distribution centre in Kidderminster. Construction on the site took 11 months and was completed on schedule in November last year. Specsavers International Glazing Services (IGS) and Lens Online moved into the two new units in phases and this was completed last month. Dame Mary cut the ribbon on the site at Stourpoint Five, which consolidates and expands Specsavers’ operations in the area to meet growing demand and toured the new facilities with other members of the Specsavers Board. The new facility will allow Specsavers to double its capacity, future proofing the business for the next 15 to 20 years. This expansion will create more jobs in the local area, with up to 200 more positions over the next five years. Around 400 staff currently work at the new site and enjoy improved facilities including two canteens, a games area, as well as a climate controlled working environment and more ergonomic work stations. ‘Seeing Specsavers invest in these two fine buildings is really positive for the company and their employees and Kidderminster. It is an excellent example of private and public sectors working together to make new development as straightforward and accessible as possible. The creation of this superb new Specsavers facility was completed without the need for planning permission as the company were able to utilise the Council’s Local Development Order (LDO). 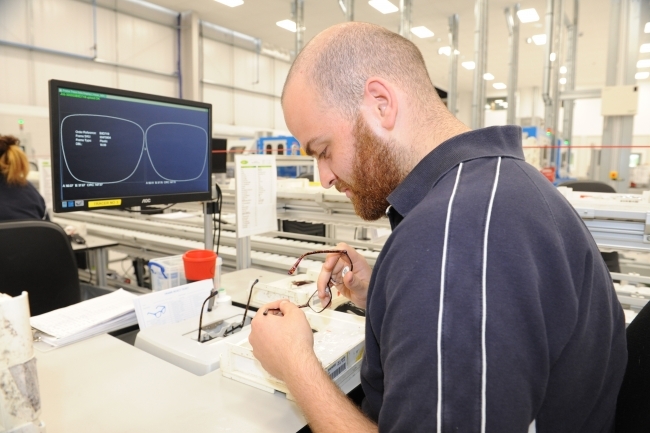 Specsavers’ International Glazing Services business glazes customers’ frames with prescription lenses for Specsavers stores in Northern European countries. 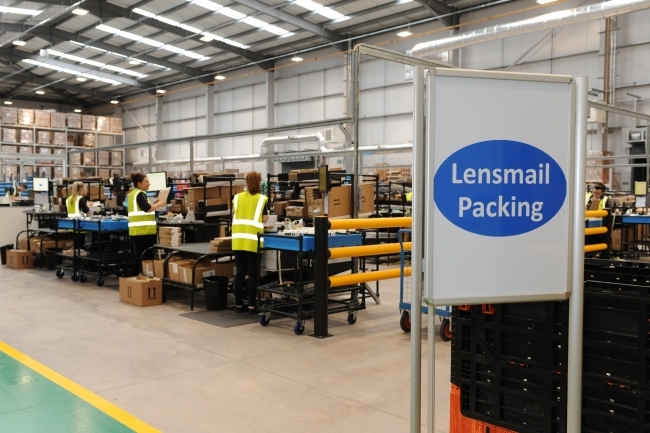 The Lens Online business stocks and distributes lenses and contact lenses to stores in the UK and Ireland.